With determination and audacity, Josephine Baker turned her comic and musical abilities into becoming a worldwide icon of the Jazz Age. 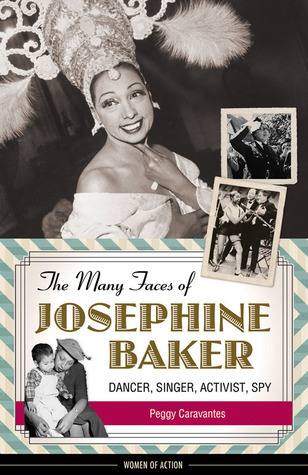 The Many Faces of Josephine Baker: Dancer, Singer, Activist, Spy provides the first in-depth portrait of this remarkable woman for young adults. Author Peggy Caravantes follows Baker’s life from her childhood in the depths of poverty to her comedic rise in vaudeville and fame in Europe. This lively biography covers her outspoken participation in the U.S. Civil Rights Movement, espionage work for the French Resistance during World War II, and adoption of 12 children—her “rainbow tribe.” Also included are informative sidebars on relevant topics such as the 1917 East St. Louis riot, Pullman railway porters, the Charleston, and more. The lush photographs, appendix updating readers on the lives of the rainbow tribe, source notes, and bibliography make this is a must-have resource for any student, Baker fan, or history buff.